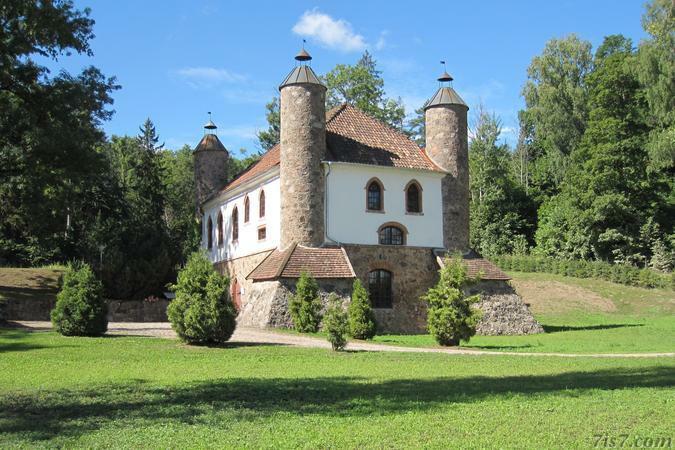 This neogothic building in Heimtali was built in 1857-1858 with "land" stones. It has 4 distinctive corner towers. The building is often said to have been a distillery, something that is repeated on many Internet pages where it is mostly referred to as the Heimtali Viinaköök. Yet according to the information panel nothing indicates a past as a distillery. A Swiss dairyman named Johann Hofer produced cheese here at the beginning of the 20th century that was also popular beyond Estonia in neighboring Latvia and Russia. The information panel also informs us that the dairy functioned until 1937. 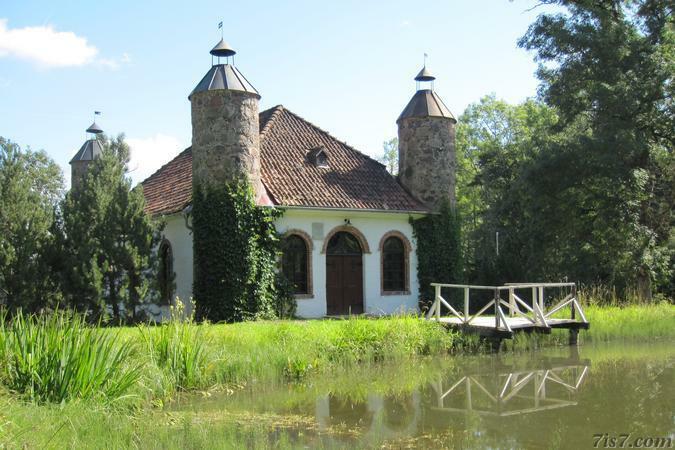 However during a presentation about Heimtali manor, the speaker (who wrote a book about the manor) said that it was a distillery. The mystery continues. Location: 58°19'19"N 25°30'41"E on: Google Maps, OpenStreetMap, Maa Amet.